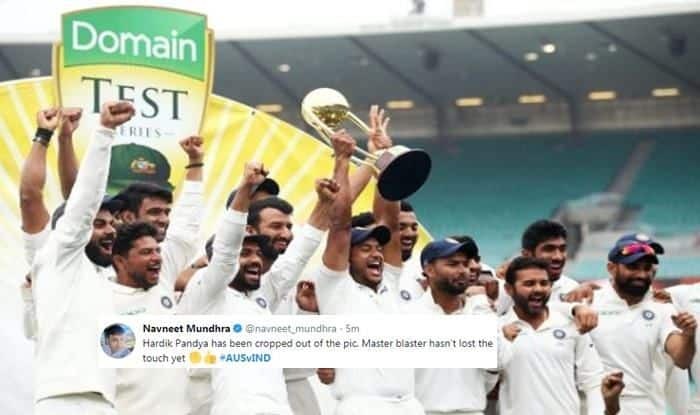 India vs Australia 2018-19: So, has Hardik Pandya deliberately been cropped from the picture posted by former batting legend Sachin Tendulkar? Here is how Twitter felt otherwise. In the rapid fire round, the host asked both Rahul and Hardik about various things and some of them were related to cricket. Both the cricketers were asked, according to them who is a better batsman between Sachin Tendulkar or Virat Kohli.